Bored of the regular old meatballs served with spaghetti or sandwich sub? But here’s the bright side, you can twist this recipe by merely replacing the star ingredient that is the ‘meat’ with vegetables. This is not just a healthy option but an exciting one as there are many new ingredients you can include. These will make your meals light as well refreshing. That’s the best part of about food, you can tweak from the conventional methods and make it more interesting as well as appetizing. Veggie balls made from cauliflower are immensely flavorful, and you can incorporate other variants in it like bell peppers, mushrooms, or lentils. To make them creamier you can add the classic Italian tomato sauce and give it your own twist by making it spicy or lemony. You can use feta or parmesan cheese for garnishing. Quinoa is an amazing inclusion in your diet through veggie balls. It’s is gluten free, high in proteins, fibers and amino acids as well as antioxidants. It is easy and delicious, and you can simply cook it with an incorporation of herbs, cheese, and basic kitchen ingredients or add mushrooms, lentils, or spinach. Quinoa happens to be a versatile ingredient that blends effortlessly with the other food elements. Red or green lentils are another alternative to make meatballs. They’re gluten free, high in iron and proteins. They generally make an amazing combination with a tomato sauce and parmesan cheese. You can season this recipe according to your liking, it could be spicy or tangy. You can serve it in pastas or in a vegetarian meatball sandwich. This classic combination of tomato and basil will refresh your taste buds, with its crunchiness on the exterior and tender, savory flavor on the inside. It is uncomplicated and fast to cook, and you will just require a handful of basic ingredients like chickpeas, parmesan, and some fresh herbs. These flavors will go best with a plate of hot spaghetti. Meatballs made from eggplants are extremely tasty and healthy. Add olive oil, lemon zest and freshly shredded basil and cheese. 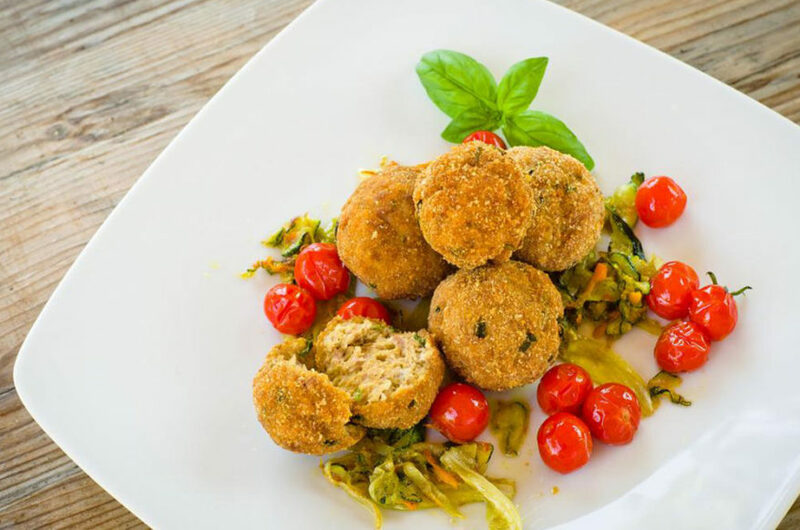 You can use the veggie balls as simple, fuss free appetizers or serve them with pasta noodles or rice.